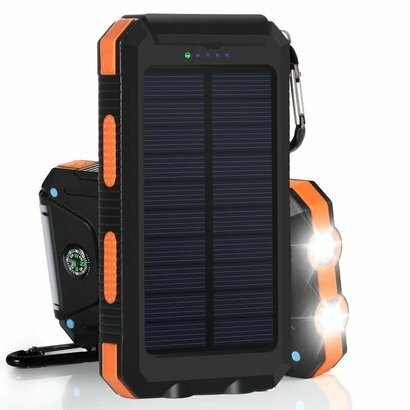 Gigacord Solar Charger, Solar Power Bank 10000mAh External Backup Battery Pack Dual USB Solar Panel Charger with 2LED Light Carabiner Compass Portable for Emergency Outdoor Camping Travel-Orange - NWCA Inc. Please put the compass flat on the floor for accuracy, any tilt would affect its direction. 1. Long press the side button, two LED lights will turn on. 2. Continue to shortly press the side button, it will enter into SOS mode. Once more and it will enter into flashing or storbe. Next short press will turn off the lights/charger. 1. External battery pack for iPhone Samsung Smartphone HTC Nexus Gopro Camera GPS and Tablets. 5. 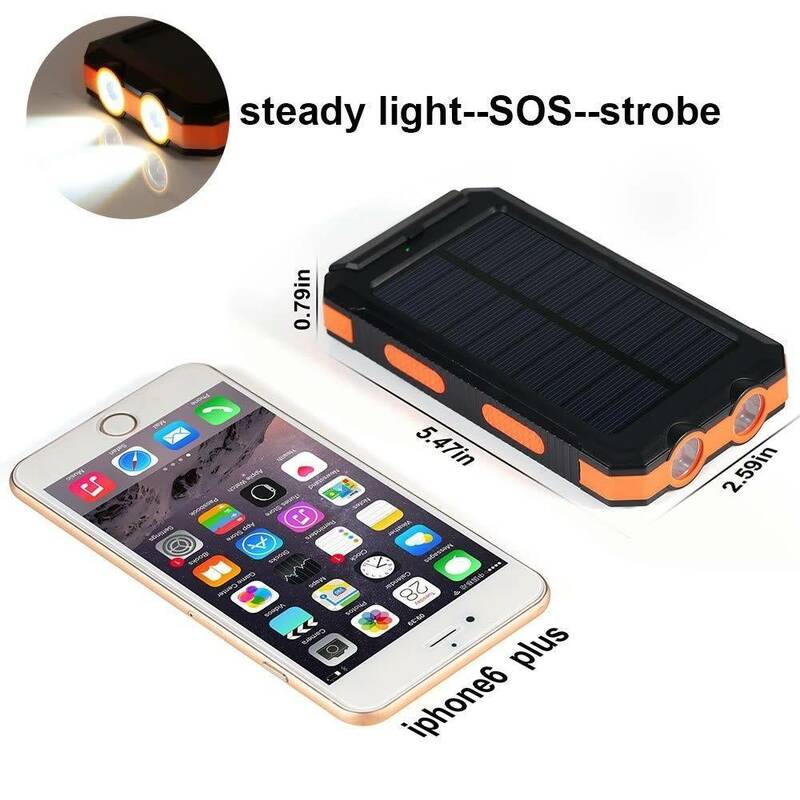 Dual super bright LED light with 3 modes for emergency. 6. Compass and hook are included. 1. 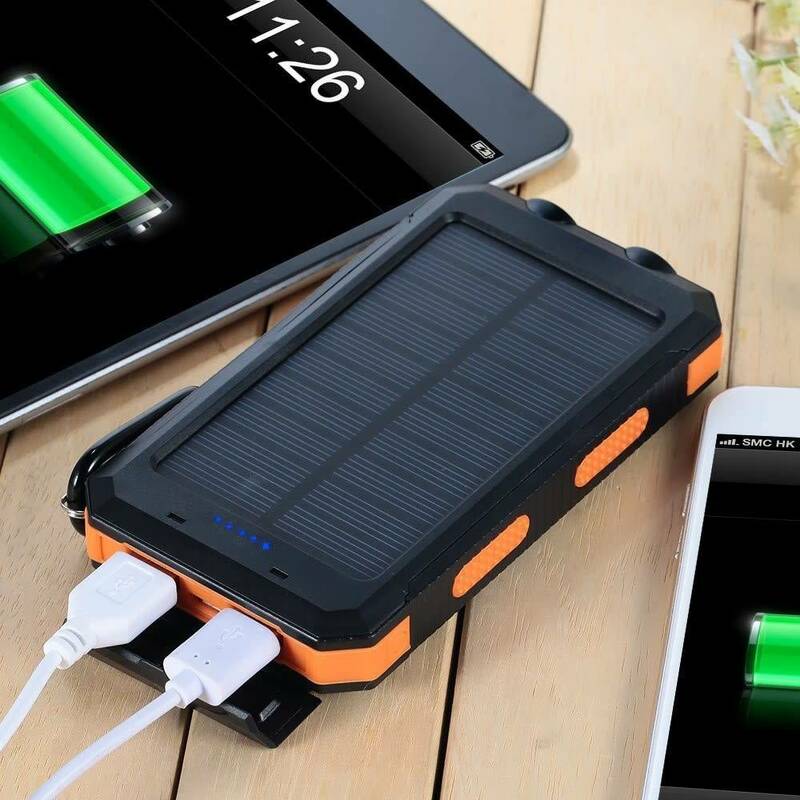 In order to fully activate the battery, please charge it via outlet or computer for at least 10 hours on the first 2-3 uses. 2. 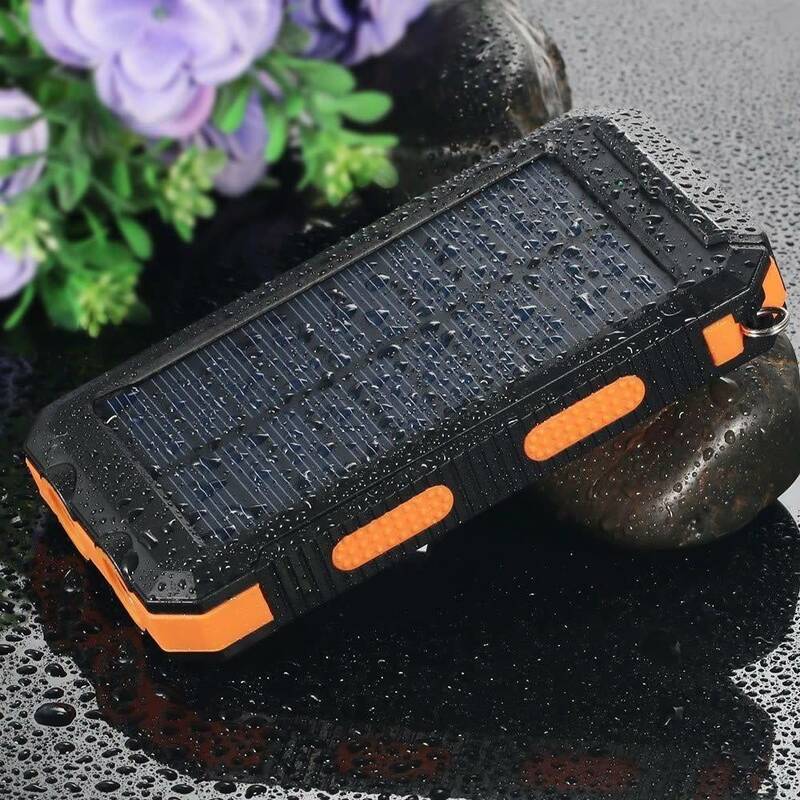 The energy transformation from solar to electricity is rather slow and the solar charging speed is subject to sunlight intensity and panel conversion rate. It could take 8-21 days for a full 0-100% charge. In daily life, we highly recommend charge it via wall outlet. 4. For safety, DO NOT leave the power bank charging in car in case of high temperature. 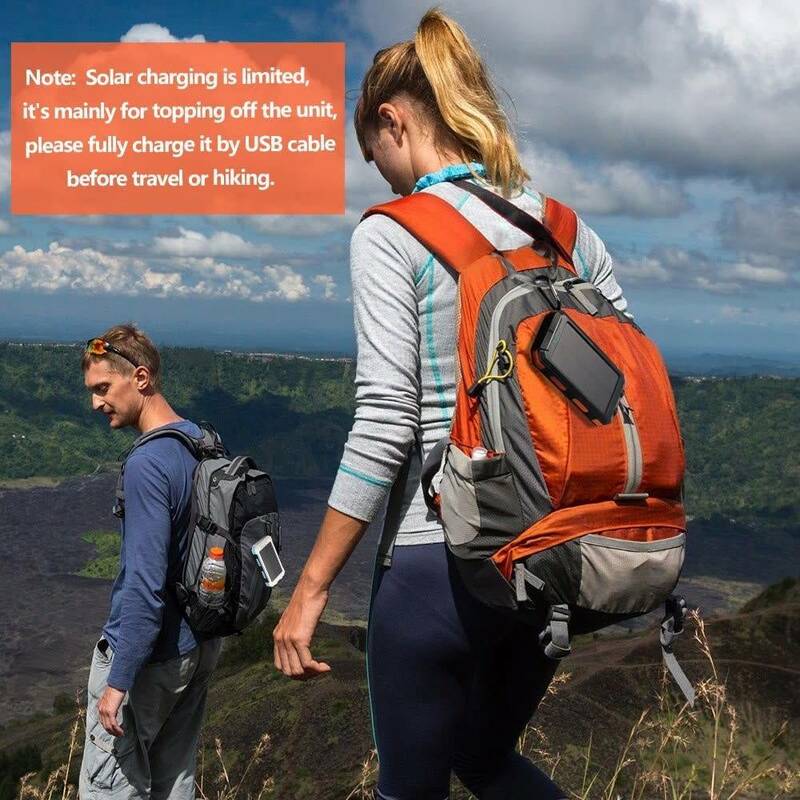 Do not make charge while charging itself.